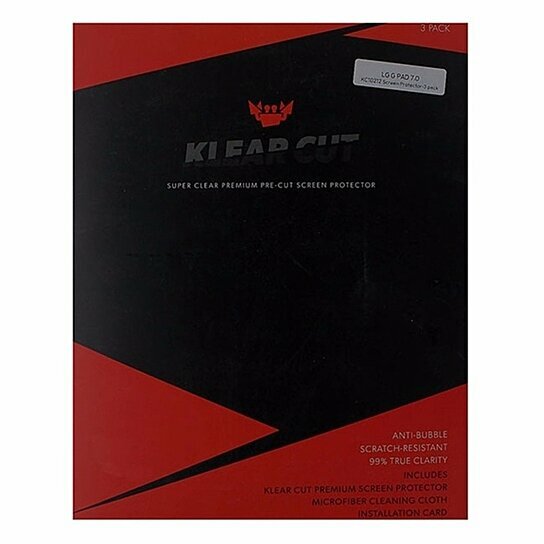 Klear Cut brand Super Clear Premium Pre-Cut Screen Protector for LG G Pad 7.0. Anti-Bubble, scratch resistant, 99% True clarity. Includes 3 Screen protectors, microfiber cloth, and install card.